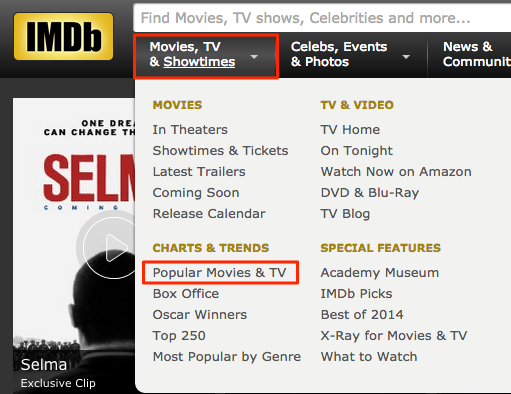 In this tutorial, we will scrape information of movies and TV from IMDb. 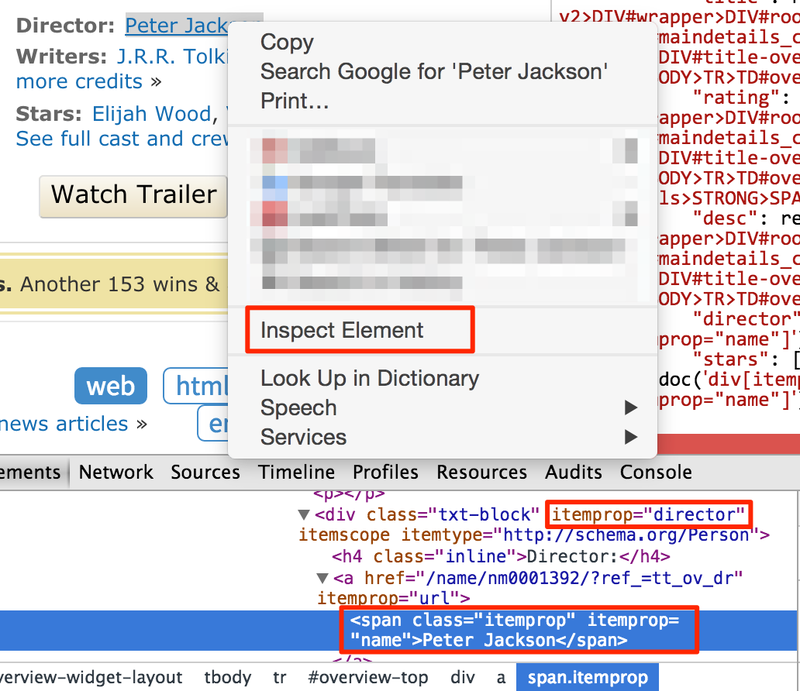 An online demo with completed code is: http://demo.pyspider.org/debug/tutorial_imdb . You should have pyspider installed. You can refer to the documentation QuickStart. Or test your code on demo.pyspider.org. Web is a system of interlinked hypertext pages. Pages is identified on the Web via uniform resource locator (URL). Pages transferred via the Hypertext Transfer Protocol (HTTP). Web Pages structured using HyperText Markup Language (HTML). Finding URLs of the pages contain the information we want. Fetching the pages via HTTP. Extracting the information from HTML. Finding more URL contains what we want, go back to 2.
containing links to the movies as many as possible. by following next page, you can traverse all of the movies. list sorted by last updated time would be a great help to get latest movies. You can find "Create" on the bottom right of baseboard. Click and name a project. self.crawl would fetch the page and call the callback method to parse the response. The @every decorator represents on_start would execute every day, to make sure not missing any new movies. callback is self.detail_page here to use another callback method to parse. Remember you can always use the power of python or anything you are familiar with to extract information. But using tools like CSS selector is recommended. You can use CSS Selector with built-in response.doc object, which is provided by PyQuery, you may find the full reference there. pyspider provide a tool called CSS selector helper to make it easier to generate a selector pattern to element you clicked. Enable CSS selector helper by click the button and switch to web panel. The element will be highlighted in yellow while mouse over. When you click it, a pre-selected CSS Selector pattern is shown on the bar above. You can edit the features to locate the element and add it to your source code. Click run again and follow to detail page. After tested you code, don't forget to save it. Back to dashboard find your project. Changing the status to DEBUG or RUNNING. ref in list page url is for tracing user, it's better remove it. You may need a list sorted by last updated time and update it with a shorter interval. Some attribute is hard to extract, you may need write selector pattern on hand or using XPATH and/or some python code to extract information.